From deer to wild turkeys, Vincent Fedele discovers the Keystone State to have some of the most abundant hunting in the northeastern United States. FORKS TOWNSHIP, PENNSYLVANIA, UNITED STATES, October 19, 2018 /EINPresswire.com/ — A so-called hunters' paradise, the state of Pennsylvania enjoys millions of acres of land upon which those inclined to do so may indulge in their pastime. As such, Pennsylvania is widely considered one of the best hunting states in the nation, according to Vincent Paul Fedele, a successful businessman, keen hunter, saltwater fisherman, and father of two from Easton, Pennsylvania. "Pennsylvania offers a mixed bag of hunting opportunities," explains Fedele, "and is most famous, perhaps, for its white-tailed deer." 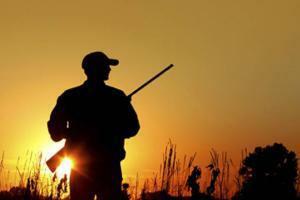 Hunting season in Pennsylvania typically begins in late September and continues until January. Further to white-tailed deer, hunters also favor the state for its black bears and elk, although hunting the latter requires a special license, of which only a relatively small number are issued annually and on a lottery basis. With over 4.5 million acres of public land permitting hunting in Pennsylvania, further opportunities also exist on privately owned sites, according to Vincent Fedele. "Over a million acres of private land exist where hunting is permitted via a land access program maintained by the Pennsylvania Game Commission," he adds. Highlighting one particularly popular area for hunters in Pennsylvania, Vincent Fedele looks to Moshannon State Forest. "Located in northern Pennsylvania, Moshannon State Forest is best for hunting wild turkey, grouse, deer, and black bear," he explains. "Bordered by dense hardwood to the north, and hickory and oak to the south, the state of Pennsylvania permits hunting in almost all of the popular forest." Exceptions to this, according to Fedele, include a small number of safety zones, all of which are located in close proximity to highly populated areas. While much of the most highly regarded hunting exists in the northernmost parts of the state, Fedele also points toward Caledonia State Park in southern Pennsylvania. Praised by many for its scenery and landscape, and with an abundance of creeks and rivers running through the area, Caledonia State Park is also popular with anglers, particularly for its trout – including brown, brook, and rainbow varieties. Fedele explains that the park allows hunting across almost 750 acres, with deer, wild turkey, rabbit, and squirrel all plentiful. "Woodchuck hunting, however," he adds, wrapping up, "is prohibited within Caledonia State Park, which it's important to keep in mind." To find out more about hunting opportunities in Pennsylvania, visit the state's gaming commission online at https://www.pgc.pa.gov/.